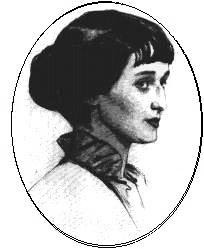 ﻿ Poetry Lovers' Page - Anna Akhmatova: "I Do Not Deserve..."
You are here: Home » Russian Poets » Anna Akhmatova » "I Do Not Deserve..."
ANNA AKHMATOVA: "I Do Not Deserve..."
But nothing of it can be read. And others – by nods from their ‘bliss’. With text, that’s like look in abyss. Dead silence that lays you before.